If you struggle with greenside pitch shots, the problem most likely stems from technique and your level of commitment to the shot. Solid pitching is a matter of feel and execution, so if you know can develop the proper form with your swing and you know you’re going to hit a good shot close to the hole, there’s nothing to fear, right? In this lesson, we teach you some expert golf chipping tips and introduce simple chipping drills you can practice to improve your pitching technique and become more consistent with a wedge in your hands at the range and on the course. 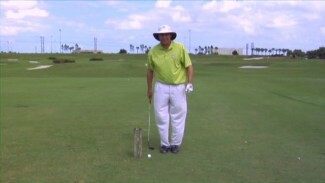 PGA Professional Mark Drenga knows all too well that the key to proficient chipping is proper form. He frequently sees amateur golfers flub their greenside pitch shots because they try to chop at the ball rather than attacking it with a smooth, controlled swing. 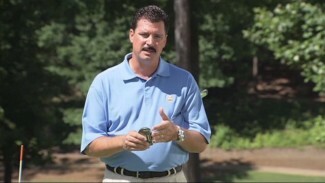 To help rid the world of unnecessary chunked pitches, Mark imparts some of his favorite short game tips for better pitching, then shows you how to use a broom to develop a more natural swing that feels like you’re sweeping the ball instead of chopping it like wood. 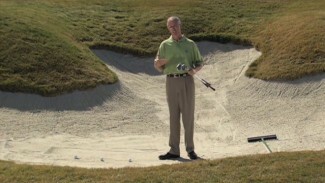 With Mark’s insight and an inexpensive broom, you’ll learn the expert golf chipping tips you need to perfect your technique, boost your wedge confidence and put the ball closer to the hole. Your putts will become easier, and your score will shed strokes!